Charles Darwin was a British scientist who known for his support of evolution and his publications that helped bring the idea into the scientific mainstream. His theory regarding natural selection was supported by sufficient scientific evidences that are collected during his travels around the globe. Charles Darwin was born in a small town in England in 1809. 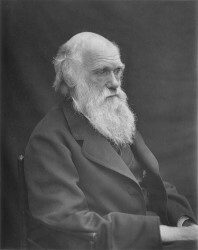 He was the fifth child of parents Robert Waring Darwin and Susannah Wedgwood. Charles’ paternal grandfather, Erasmus Darwin, was one of the well-known intellectuals in England during the 18th century and his maternal grandfather, Josiah Wedgwood, was a China manufacturer. Darwin’s early life was quite ordinary. He did not enjoy going to school, and he was a slow learner. He attended the Shrewsbury school before leaving for Edinburg University to study medicine. There, he assisted in the study of marine invertebrates, their life cycles and their anatomies. However, he had little interest in medicine so he decided to choose a different career following a suggestion by his father. In 1828, Darwin joined Christ’s College, Cambridge, to study to become a parson. However, he was unqualified to join in any course other than an ordinary degree course. He passed his Bachelor of Arts degree in the year 1831. It was in Christ’s College where he met two influential people – Adam Sedgwick and John Stevens Henslow. They would help shape the rest of Darwin’s life as a naturalist and change our understanding of the natural world forever. Henslow eventually advised Darwin to travel with him in the Beagle, which was a survey ship that was about to undertake a journey around the world for a period of five years. Henslow helped Darwin get aboard the HMS Beagle in 1831. During the course of his trip, Darwin collected samples of various natural specimens including fossils, plants, and birds. During this time, Darwin read Principles of Geology, written by Lyell, which suggested that fossils are animals that lived thousands of years ago. This argument was reinforced in Darwin’s mind by the various geographical features and rich animal life he saw during his voyage. In 1835, the Beagle reached the Galapagos Islands which had a large number of animal and bird species. He collected various specimens and noted that those specimens that belong to the same geographical location were closely related, even though their feeding habits and structures were different. In 1836, Darwin returned to England and started to solve the riddles of his observations and understand how species evolve. He then proposed a theory of evolution by the process of natural selection after getting influenced by the ideas of Malthus. According to him, the animals and plant species that are best suited to their surroundings will survive and reproduce easily. They will then pass on the characteristics that helped them survive to their offspring. Gradually, the species change over time. In 1838, Darwin married Emma Wedgewood. They moved to Down House in 1842 along with their children. This is about the time when he developed the theory of evolution through natural selection more fully. However, it took around 15 years to finalize his manuscript. In 1858, Darwin joined with another scientist who had similar ideas on evolution. In 1859, Darwin published his book On the Origin of Species by Means of Natural Selection. It work was criticized widely so he tried to answer their questions in an additional five editions which were published during his lifetime. Charles Darwin died in 1882 and was buried in Westminster Abbey.